Overweight and obesity may not be infectious diseases, but they have reached epidemic proportions in the United States. Take a moment to walk in a child’s shoes. Imagine having no significant control of your life and facing the profound challenges of being overweight or obese. 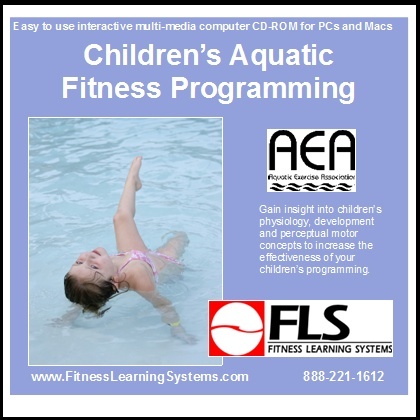 As an aquatic fitness instructor, you have the power to introduce all children to the health benefits and joys of physical activity and exercise, and you have the power to improve a child’s health and quality of life. Help get our youth in shape through fun aquatic fitness formats! See developmental progression with motor skills as children of different ages hop, skip, and more! Learn new ideas and information on effective aquatic programming for children through creative teaching methods, class formats, leadership styles and more. review the characteristics of children and statistics regarding children’s fitness. gain insight into children’s physiology and program considerations vital to a healthy children’s program.